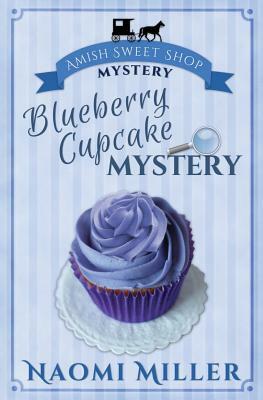 In the small town of Abbott Creek, mystery is as much a part of daily life as The Sweet Shop's Sugar Cookies. Katie Chupp spends her days at The Sweet Shop, taking care of customers and baking delicious treats . . . not exactly a profession where one expects to be thrown into the midst of mysteries and mayhem. But when the bakery is broken into, someone has to find the thief . . . besides finding another place to do the baking and get the orders to the customers. Is this a random theft, or is the thief trying to ruin the town's Independence Day celebration? Book 1 of the Sweet Shop Mysteries series Watch for book 2 - Christmas Cookie Mystery - COMING SOON. Naomi Miller mixes up a batch of intrigue, sprinkled with Amish, Mennonite, and English characters, adding a pinch of mystery - and a dash of romance! Naomi works full time as an author, blogger and inspirational speaker. She is a member of the American Christian Fiction Writers (ACFW) organization. When she's not working diligently to finish the next novel in her Sweet Shop Mystery series, Naomi tries to make time for attending workshops and writers conferences. Whenever time permits, Naomi can be found in one of two favorite places - the beach and the mountains. Naomi's day is spent focusing on her writing, editing, and blogging about her experiences. Naomi loves traveling with her family, singing inspirational/gospel music, taking a daily walk, and witnessing to others of the amazing grace of Jesus Christ.